On Saturday I had a chilled out Small Press Day visiting Solid Gone Art Fair and then spent the afternoon at Nostalgia & Comics. 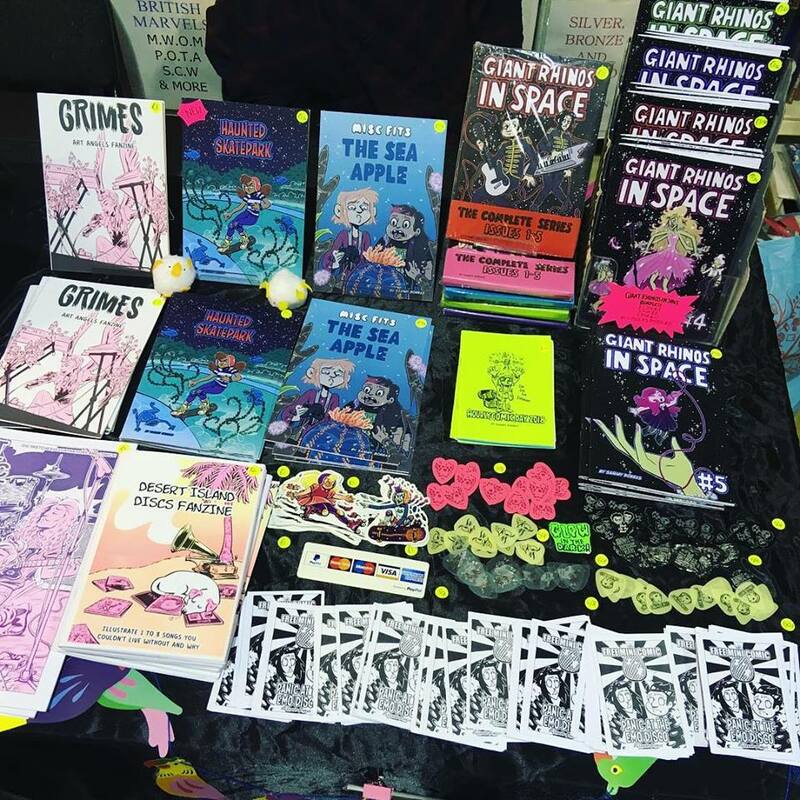 Thank you to everyone who stopped by my table. I get a couple weeks off from events and the next show will be Manchester MCM Comic Con on 28th-29th July 2018. I'll have a full table and will be offering ink convention commissions (please come by early if you would like to take it home on the same day). There will be a brand new free mini comic to hand out! 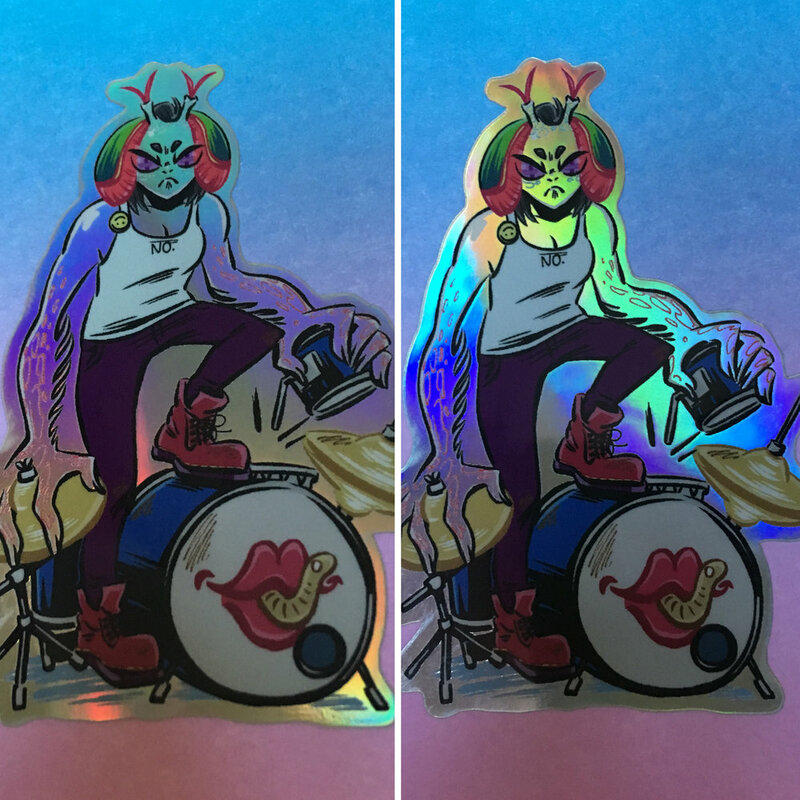 I had some new sticker designs arrive in the post this week! The characters are from a project I've been developing about a paranormal riot grrrl band called Go Eat Worms. 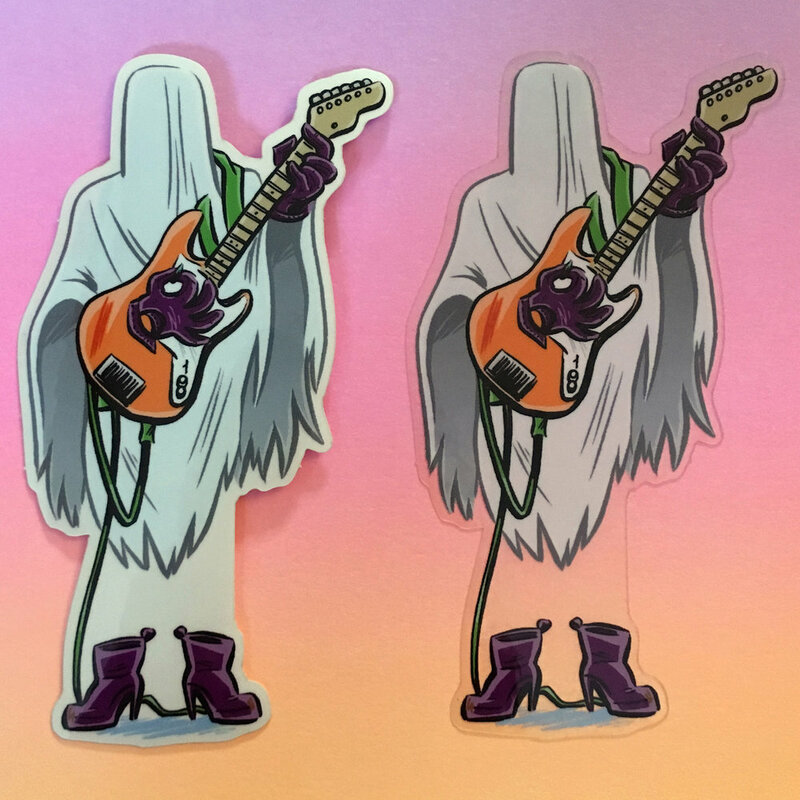 The invisible ghost guitarist has been printed on transparent stock and the mantis shrimp woman is holographic. They are available to order through my Etsy shop.